Fire Station No. 39 will provide faster response times in the Stapleton neighborhood. PCL Construction recently topped out the Northfield Fire Station No. 39 at Central Park Boulevard and 50th Avenue in the Stapleton neighborhood. The fire station, which is scheduled for completion in May, will provide faster response times to surrounding neighborhoods and schools while continuing to address the increased need for safety facilities in the growing Denver metro area. The Northfield Fire Station is the result of a five-party agreement that includes the city and county of Denver, Denver Public Schools, Park Creek Metro District, Denver Urban Renewal Authority and Forest City. It was designed by OZ Architects. 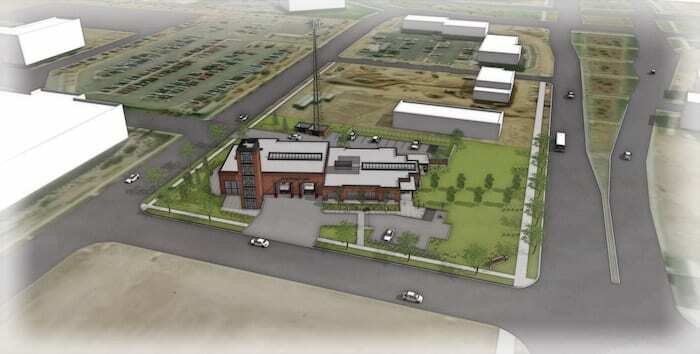 The new fire station will provide the Denver Fire Department with all of the critical lifesaving needs and systems in a state-of-the-art facility, while also providing a comfortable living environment to firefighters and a welcoming addition to the community. Published in the Jan. 16-Feb. 5, 2018, issue of CREJ.